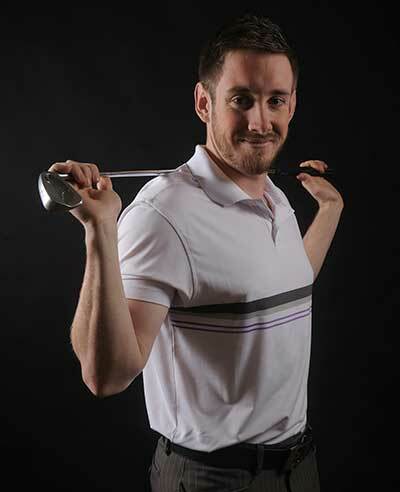 Stephen Packer - PGA Qualified Professional based in Dorset. Does your Swing Fit YOU? I am a PGA Golf Coaching Professional based in Dorset, South West England. I offer Golf Lessons in Dorset with my unique approach to golf coaching and instruction. I work with my clients to develop their golf to its ultimate potential, through customised golf development programmes and on-going support. Call me now On 07733 432779 to discuss your requirements. Steve's Tip of the Week! "Swing your Club like a Baseball Bat!" Learn about my golfing background. Learn about my golf coaching programmes. A gift voucher - the perfect Birthday gift. Visit the Online Academy to view your swing. Could the next 12 months be YOUR best, most enjoyable yet??? • Stop your mind interfering with your swing • Learn the secrets of lower scores • How to take your lesson onto the course • How focusing on the “right” things could add yards to your drive • How to finally get out of your own way and play the golf you are truly capable of. This evening workshop is an informative, interactive and fun workshop!! Website Maintained and Hosted by AnyAid Limited.